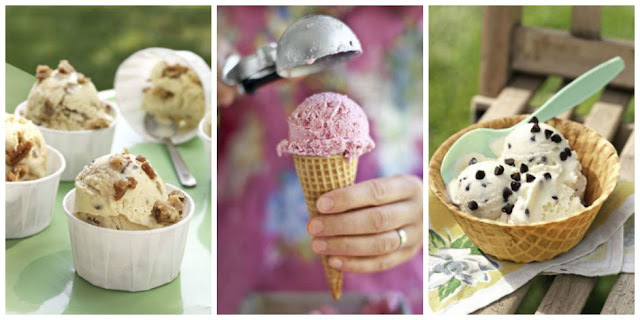 Prepare Ice Cream: In a medium saucepan, whisk together milk, brown sugar, egg yolks, and salt. Place pan over medium-high heat until mixture reaches a simmer. Lower heat to medium and whisk mixture for 5 minutes or until it begins to thicken. Strain mixture into a large bowl and whisk in butter until combined; then incorporate half-and-half, cream, and vanilla. Cover with plastic wrap and refrigerate until chilled, about 2 hours. Prepare Candied Butter Pecans: In a heavy skillet over medium heat, combine pecans, sugar, and butter, stirring constantly for about 6 minutes or until sugar has melted and browned. Remove from heat; spread nuts on foil. Once nuts have cooled, break into bite-size pieces and reserve. Pour ice cream mixture into ice-cream maker; process according to manufacturer instructions. Once ice cream's made, stir in reserved pecans.